Last month I posted a spoiler-free review of the latest installment of Lee Murray’s thriller series, the Taine McKenna Adventures. In Into the Ashes, Taine faces his biggest foe yet: the active volcanic isles of New Zealand itself. Check out an excerpt from the book below, then follow the link to enter a giveaway for an Amazon gift card! A deadly wash of lava and rocks, as wide as the Waikato River, surged around the house, taking the line of least resistance. The side of the house exploded in flames. Taine had no time to take it in because the front wheels of the Unimog were lifting in the swell, the air blackening with the smoke and stench of immolating tyres. My publisher decided to give everyone a fabulous gift this holiday season. Today is the last day to pick up a copy of the first book in the Steel Empires series for free! Feel free to share the link far and wide! I hope everyone has a great day, whether you celebrate Christmas in a religious or secular manner, or today is just a random Tuesday for you. Now if you’ll pardon me, I have a giant LEGO set to build. Today, I’m pleased to spotlight a new anthology featuring some fabulous authors. These gothic romance short stories will have you quivering (in whichever way you choose to interpret the phrase) in your hot apple cider! Six haunting stories of love with a paranormal twist, including a traditional nineteenth century possessed house, lycanthropy and voodoo, zombies, a soul-stealing journal, a reaper for death, and a bargain with the fey folk. This book will tempt you to give in to your darkest desires. Featuring Cara McKinnon, Sheri Queen, Serena Jayne, Read Gallo, Kylie Weisenborn, and Heather Sheldon. The difficult part of launching a new book while also traveling out of town to an enormous convention is that it’s difficult to promote the blog tour posts that I organized at the same time. So, here’s a handy round-up and GIANT thank you to everyone who supported Steel Empires Book 4: Steel Time by sharing information or hosting me on their blogs! Check out the posts below for some cool behind-the-scenes details about my life and writing process, excerpts from Steel Time, a character interview with Toria, and pictures of my adorable cats. August 22, 2018: Steel Time Cover Reveal! 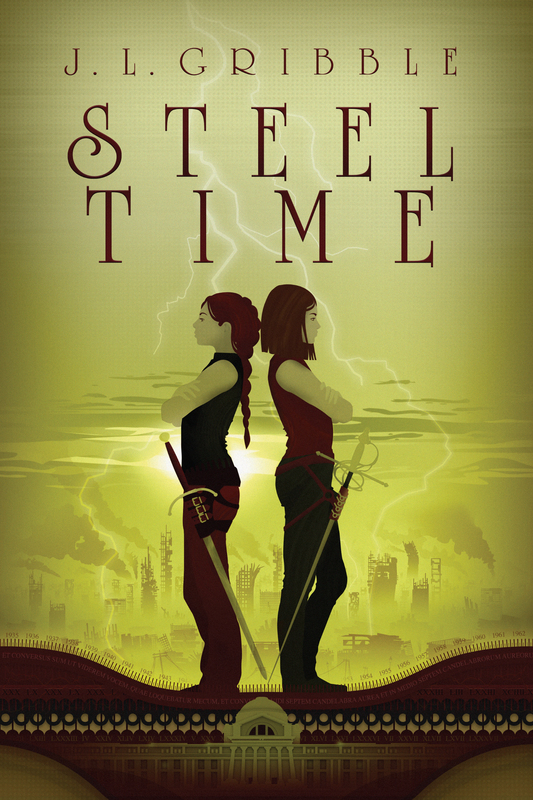 September 6, 2018: Steel Time Book Launch & Excerpt! Thank you so much to everyone who helped boost the signal about my latest book! Last year, when Steel Blood came out, so many people congratulated me on finishing my trilogy. Though events can stand alone after the first three books, I have so much more story to tell. I really appreciate you coming along on the adventure. Today, I’m happy to share some basic information about the book and then give you a sneak peek at the very first chapter! 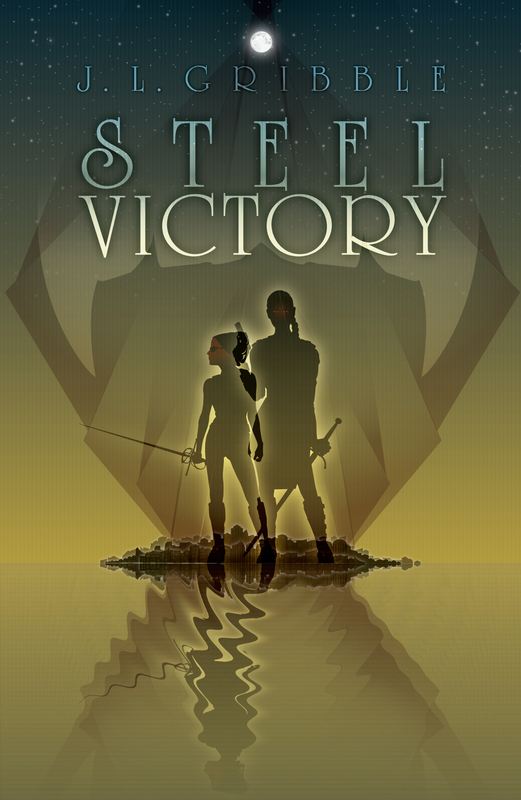 And if you haven’t met my crazy world yet, I encourage you to jump in with book 1, Steel Victory. Both of them know the clock is ticking down to the moment when the city is wiped off the map. Now, they’re in a race against time. To find each other. To escape the past. And to save the future. There are many ways to get your own copy of Steel Time! Available in hardcopy or ebook from major retailers, Amazon or Barnes & Noble. Order a hardcopy direct from the publisher. Order a hardcopy and support my local indie bookseller, Carpe Librum. Or, ask your own local indie bookseller to order one! Read on for the opening to Steel Time! Today, I’m happy to help celebrate the birthday of a book I’ve been looking forward to for literally years, ever since the author and I met at a a convention and found kindred souls in our shared delight over Stargate, NASA, writing, and speculative fiction. Rights of Use brings me back to my teenage years, when I had a crazy thing for UFOs and Area 51, but I’m glad I got to experience this novel with the added maturity of adulthood. I might not have appreciated the modern themes of consent and authoritarianism Eichorn slips in under the guise of creepy aliens and shadowy political maneuvering. If you’ve ever had a thing for Stargate, NASA, or pretty much anything speculative fiction, this will be right up your alley, too. In the 1960s, Project Blue Book assured America that no aliens visited its amber waves or shining seas. Thirty years later, Project Black Book knows better and has the flying saucers to prove it, but they still can’t stop the body-possessing Kemtewet from scooping their pick of young women from Earth to host an alien queen. Sarah Anderson yearned for an escape from her new life in Pennsylvania, but not for this: being kidnapped by aliens and faced with a choice between having a Kemtewet queen erase her brain or sharing her body with a Gertewet insurgent. Unless the Air Force can rescue her in time, it’s either death or a chance to make a difference in the galaxy, because with Sarah, the Gertewet have one last shot to end the Kemtewet Empire and free billions of humans subject to their body markets. In a war over consent, only some things are black and white. Disclaimer: I read this book during the editing process, and I consider the author a friend; however, I can’t wait to buy a hardcopy version of this novel of my very own. Next Monday is a book birthday for one of my fellow bloggers at Speculative Chic, but I couldn’t wait any longer! I was thrilled to receive an advanced electronic copy of this debut novel. This was a great, fun read that will appeal to adult and young adult readers alike, with just enough superhero antics to make you feel like you’re in the movie theater with the bonus of a longer narrative and way more interesting things than can be packed into a two-hour time span. Congratulations on the new book, Nancy — I already can’t wait for the next in the series. Disclaimer: The author is a fellow contributor to a shared blog; I received an electronic copy of this book in exchange for an honest review.